Since the smartphones are capable of generating a wide range of current and classic video games players who use these platforms to play have demanded a gamepad that allows them to fully enjoy their favorite titles, which makes sense, because a touch system you cannot exceed the capabilities of a good traditional command. Those looking to enjoy with more complex game experience will certainly find attractive GameSir G3s Enhanced Edition, the top model featuring a controller version with some interesting features. Made of high quality plastic, nice touch and equipped with a comfortable ergonomic modeling sufficiently close to the gamepad of PS4, while reflecting some winks to the controller of the Xbox, as revealed by the design and color of its four main buttons to the right. Its black with red accents under their joysticks analog create a nice contrast to the player’s eyes. While it is true that aesthetics reminds drivers of the current consoles, as we say there is closest to the machine controller appearance Sony. His two joysticks have a design that improves grip and four backlit buttons with four different colors are details that we have personally liked. At the top, they are located four rubberized buttons for: Start, Select, Turbo and Clear. Topping this configuration, two front buttons are accompanied by two triggers. A pro design that makes not we miss the command of a lifetime. The control is lightweight, includes a USB wireless receiver, Bluetooth 4.0 connectivity, 2.4GHz band, a Micro USB charging cable and a good support for fixing the mobile phone charge. The Li-Ion 600 Ah offers a battery life of 18 hours of continuous use. The GameSir G3s works on Android and iOS, as well as Windows Mobile. It is also compatible with PlayStation 3, thus expanding the possibilities and excuses to acquire it .Its creators say that what really sets this gamepad is its compatibility with all kinds emulators, allowing users to enjoy the great classics by traditional gameplay. Its design, clearly inspired by the Dualshock 4, is comfortable and features like the lighting in different colors seemed to us a success that will not go unnoticed. Who knows us a little knows that we are not playing with smarthpones but this driver is an interesting time to enjoy emulators from your choice PC or as an economic alternative to your command PS3. 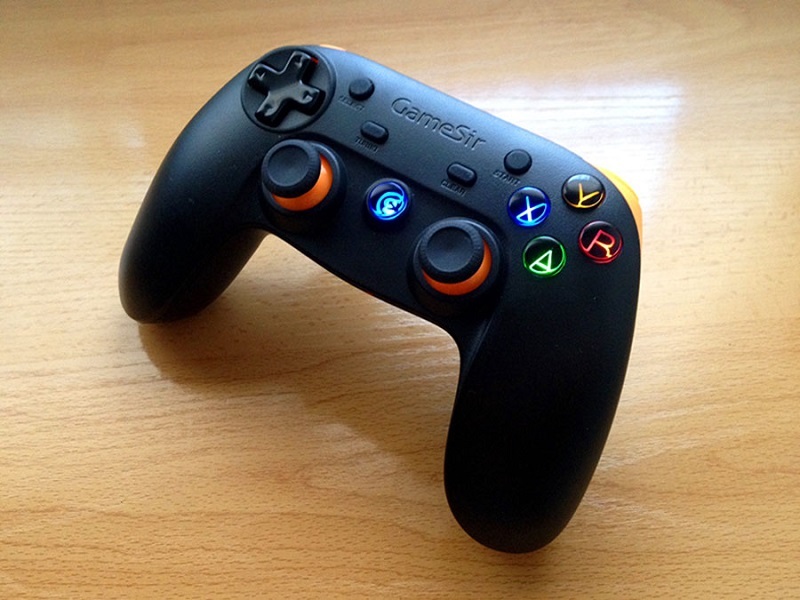 Those who play with their mobile video games, this gamepad will satisfy your need to have it all … “controlled”.